To match with the high speed processing of the wood machineries and ensures minimal downtime during the wood processing operation, the durability of the conveyor belt is all important. The poor quality of the belt not only results in the increased overheads, but hazardous in many cases and for the safety assurance, the durability of the conveyor belt is obligatory. Our conveyor belt for wood meets all the requisite of the wood industries and therefore is a first choice of them to execute every wood conveying operation unfailingly. As this conveyor belt is specifically configured for the wood application need, it is also eminent as the wood conveyor belt, made of the multiple layers of the top grade PVC/PU material and carcass to obtain a conveyor belt for wood that shares substantial strength against high impact, and resistance against abrasion or cuts, and is also known as the heavy duty conveyor belt in the industries. 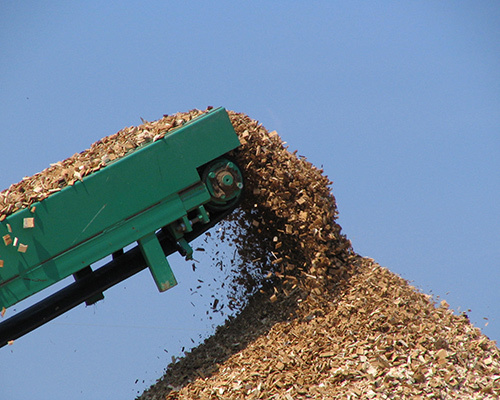 The use of hot vulcanization technology for the adhesion of the different layer ensures the strong adhering of the every layer that does not fail even subjected to heavy load or continuous operations, which is the mainstay of our wood conveyor belt that makes it the trusted companion for heavy wood applications. The entire manufacturing is executed in accordance with the international standards and therefore is guaranteed to be the excellent when it comes to the matter of the safety and reliability. The impeccable wood conveying, high efficiency and low overheads are the compliments gained from the end users who have invested in our conveyor belt for wood and that demonstrates our potency in the wood conveyor belts. Whether it is the sawdust, wood chips, or wood board, we are proficient to provide wood conveyor belt combined with different profiles, cleat, sidewall that ensures highest reliability and safety for flat, steeple angle or perpendicular conveying.